Because choosing the right medication during times like these is essential. A mother's love runs deep and is sacrificial. 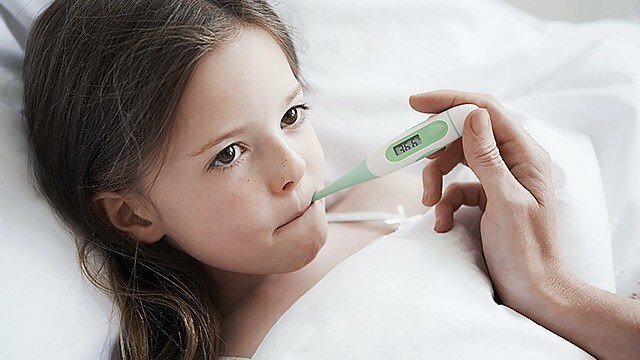 When any of your children get sick, you fervently wish it would just happen to you instead. Perhaps one of the diseases you worry about the most is dengue. The Philippines came under the World Health Organization's watchful eyes when severe dengue cases were first recognized here and in Thailand in the 1950s. According to WHO, today, severe dengue cases affect most Asian and Latin American countries, making it the leading cause of hospitalization and death among children and adults. When a dengue case is suspected, it's easy to turn to ibuprofen, mefenamic acid, and other nonsteroidal anti-inflammatory drugs (NSAIDs) at the slightest hint of high fever, which is a primary indicator of dengue. But WHO has advised against these medications when it comes to dealing with the disease. Ibuprofen, when given to children with dengue fever, actually has the following common side effects: rashes, dizziness, nausea, heartburn, and stomach cramps. The recommended medication for treating fever related to dengue, according to WHO, is paracetamol. Paracetamol or acetaminophen, an antipyretic is recommended for patients to manage their Dengue symptoms. It lowers your child's body temperature and relieves pain and discomfort brought about by high fever. So when it comes to choosing the right partner for dengue fever management, Calpol (Paracetamol) is a good choice. It is clinically proven to relieve fever and pain in children. Calpol is an alcohol-free suspension with paracetamol, which makes it gentle on young tummies and can be administered to a child even without food intake. Available in two fruity flavors, Calpol addresses every mom's concern of how to make your child drink their medicine. Remember: Orange is just for kids 0-2 and 6-12, while Strawberry includes kids 2-6. Next time your child runs a fever and you suspect a case of dengue, bring your child to see a doctor and give him paracetamol for fever. In this case, Calpol brings the fever down and helps deal with the pain. As the rainy season intensifies, equip yourself and stock up on what will help your family win the battle against high fever connected to dengue. Follow Calpol on Facebook to learn more.